20th September 2018: A new force emerges in British politics. The Renew Party and Advance Togethertoday announced an alliance, creating a fresh and unified challenge to the status quo. Renew founder James Torrance said “We have admired Advance Together’s work over the last few months and are delighted now to be joining forces”. This alliance brings to Renew the experience of grassroots campaigner Annabel Mullin, who has spent most of her working life in public service, from the Metropolitan Police to the NHS. James added “Annabel is a tremendous campaigner and we look forward to bringing her skills and experience into our leadership team”. Advance Together brought revolutionary localism to the politics of Kensington and Chelsea. A bigger stage now beckons as Renew takes the fight to the national arena, campaigning for people – not politicians. The alliance will spur disillusioned voters to fight for truth, decency and aspiration in a climate of political extremism. A real alternative is alive and it starts with ordinary citizens from all walks of life desperate to create a 21st century democracy in the UK. This is an alliance forged from desire for unity as the established political parties fall apart at the seams. With the passionate people from Advance Together, Renew will fuel its drive to reboot politics in the UK and change the rules of a broken game. With politics currently in limbo because of Brexit, people should have the opportunity to reject the current course and refocus on fighting for the renewal of our country. 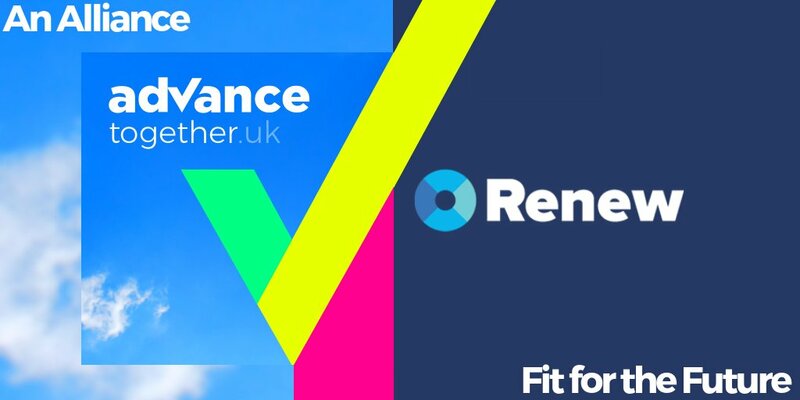 Renew and Advance Together share a vision of long-term investment in homes, security and sustainable technologies, as well as integrated health and social care for all. They commit to opening up government to encourage innovation throughout all sectors of the economy and education system, driven by people from outside politics. Together they are excited about the future. This is only the beginning. As its platform grows, Renew will continue to craft dynamic and progressive alliances with those who believe in a revitalised model of patriotic democracy in the UK. The public have voiced their support for a new choice in British politics. Renew will be that choice by joining forces with others just as excited about making Britain fit for the future. Previous Shinzo Abe elected leader of the Liberal Democratic Party.